Check out the following link to some exercises that you can do at home. About 2 years ago as part of the MOVE Program at the Edmonton Oliver PCN and with the help of the Kinesiology students we created a list of home exercises. Each one has different levels for different abilities. Through the winter, when it is cold and icy outside and you do not want to go out try a couple of these. Click on the MOVE weekly exercise on this below link. Throughout the winter in many city across Canada there are amazing trails that are maintained year round. 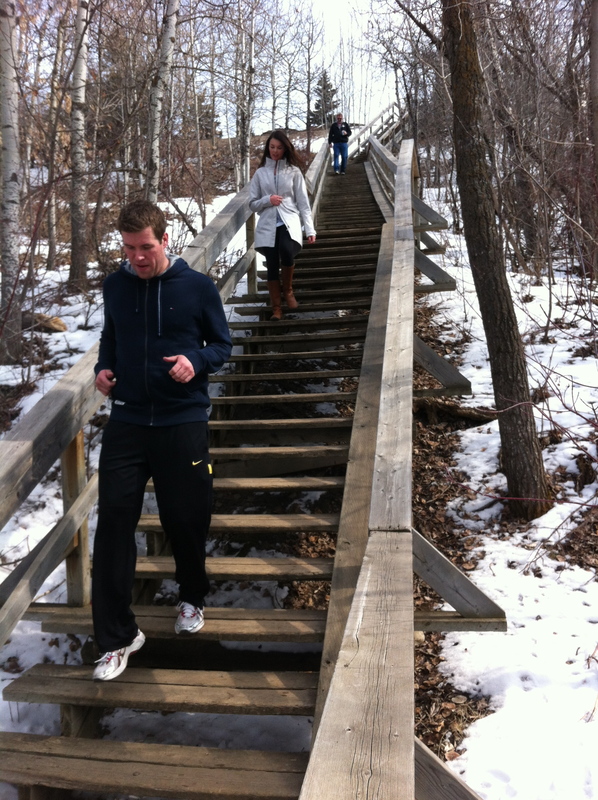 These trails are great ways to get some exercise in the winter weather. Add a couple hills or some stairs and you have a great work out. If you don’t like the ice and are scared of falling, you may feel more secure with ice cleats that you can put on your shoes or boots. Also, just a reminder that the MOVE program runs all winter long. Email if you are interested in joining the group (info@moveyeg.ca). For those that prefer to avoid the cold, put on your running shoes and get to a mall. Do a few laps in the morning and kick start your day. This quiz is hosted by the Public Health Agency of Canada. Let me know how you score. I know that many people struggle with eating well do to the hectic schedules of work, driving kids around and your personal activities. Our family calendar is a little crazy at times as well. Here is a list of few suggestions that can help with those busy schedules. Feel free to share your ideas or interesting articles. This is so important! I live in someplace a bit warmer and still think these tips will make a world of difference! Thank you!